We are delighted to announce that this year's production will be "STEP BACK IN TIME." We will be presenting an entertaining romp back through the ages in two spectacular performances on Saturday, December 3rd at 11am and 5pm. We are already in rehearsals for what will be a most excellent adventure. 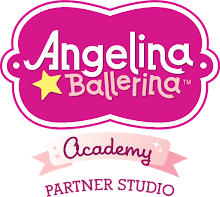 In order for our students to be looking their best, COSTUME MEASUREMENTS will be held at the studio on Wednesday 21st September and Thursday 22nd September between 4 and 7 pm. Please ensure that you bring a costume deposit of $30 to this measurement day so that your costumes can be started and you can be looking gorgeous for your big day. Our Students performed with absolute aplomb at Wellington Eisteddfod receiving outstanding results in both Solo & Group sections. Congratulations to everyone who participated in this Eisteddfod and who waved the Stepping Out banner so high. We loved watching you perform and hearing of your accomplishments. Stepping Out placed in all Group sections entered which was fantastic as there were so many amazing studios and dancers competing. Our places were as follows, 10 Years Jazz, our formidable ABC BOOGIE 1st place, 14 years Modern 1st place, 12 years Tap, 2nd place, Open Modern, 2nd place, 10 years Modern 3rd place, 12 years Modern 3rd place, Open Tap, 3rd place, 14 years Jazz, Highly Commended, 12 years Jazz, Highly Commended, Open Jazz, 3rd & Highly Commended, Open Contemporary, 2 X Highly Commended. also enjoyed a very successful Eisteddfod and we were thrilled to hear of her achievements, winning the Modern Championship and 2nd in her Classical Championship. Caitlin was also awarded MOST PROMISING JUNIOR CLASSICAL BALLET DANCER. 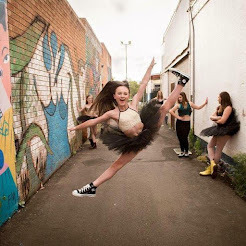 Paris Burns was 2nd in Ballet Championship and 3rd in the Modern Championship and most thrilling of all awarded the WELLINGTON EISTEDDFOD DANCE SCHOLARSHIP and prize money of $1000. WOW! Congratulations all.